Oral ciprofloxacin was an effective option for the treatment of gram-negative bacteremia. SAN FRANCISCO — Oral ciprofloxacin has been found to be an effective option for gram-negative bacteremia treatment. This finding is the result of a study presented by Gregory Cook at IDWeek 2018 held October 3-7 in San Francisco, California. There is little evidence to guide effective treatment of gram-negative bacteremia. Different providers have different levels of comfort with the use of highly bioavailable oral antibiotics. This study was designed to evaluate outcomes in patients who were treated with highly bioavailable oral antibiotics compared with patients treated with intravenous antibiotics. The single center retrospective cohort study was conducted between January 2015 and December 2017 at Froedtert & the Medical College of Wisconsin in patients requiring hospitalization with one or more positive blood cultures for a gram-negative organism. In the intravenous antibiotic group 98 patients were identified, and 103 patients were identified within the highly bioavailable oral antibiotic group. 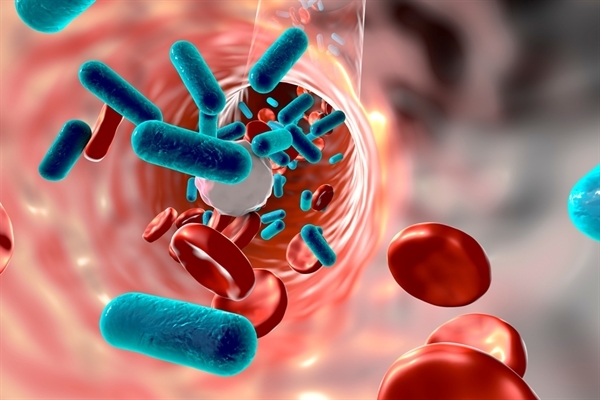 Treatment failure was defined as a “composite of all-cause mortality and recurrent bacteremia or recurrent primary site infection.” The primary study outcome was 90-day treatment failure and the secondary outcomes consisted of 30-day treatment failure, 30- and 90-day all-cause mortality, and 30- and 90-day recurrent infections. A potential issue with this study may be its small scope; it drew from a single location’s data and included a total of only 201 patients. While all results presented were statistically significant, these findings may warrant a larger scale investigation. Cook G, Huang A. Evaluation of oral ciprofloxacin and intravenous antibiotics in the treatment of gram-negative bacteremia. Presented at: IDWeek 2018; October 3, 2018; San Francisco, California.